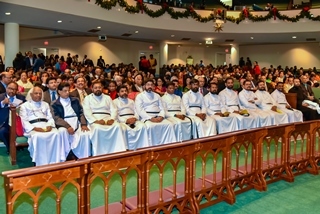 The members of North America and Europe Diocese of the Mar Thoma Church of Kerala, India unveiled a very special gift on December 29, 2018, during the season of Christmas. The Diocese had purchased the Mount Carmel Church in Stone Mountain, GA, on September 24, 2018; it is now the Carmel Mar Thoma Center. The Saint Thomas aka Mar Thoma Christians trace their roots to 52 AD when St. Thomas the Apostle arrived in Southern India (the state of Kerala) and shared the message of Jesus Christ with the local people. The church spread to the United States in the 1970s when doctors, nurses, and teachers migrated to the U.S. and Canada. 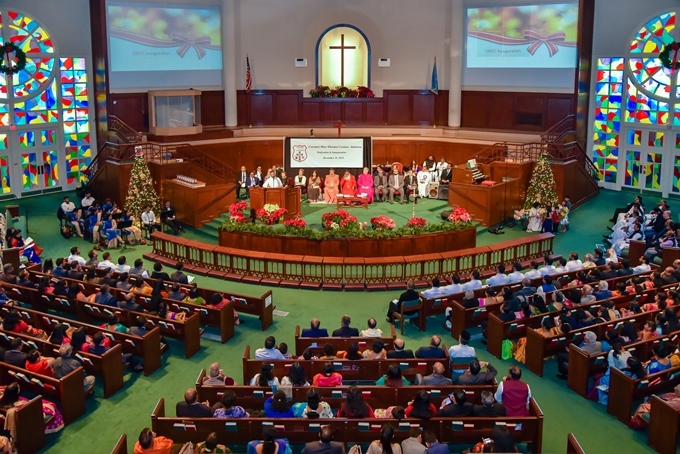 Today, the Mar Thoma Diocese of America and Europe has 71 parishes and 7 congregations. 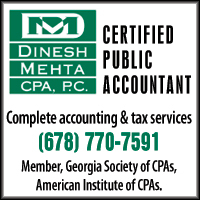 The Carmel Mar Thoma Center is nestled in 42 acres, with a beautiful sanctuary that can seat 2,500 people. 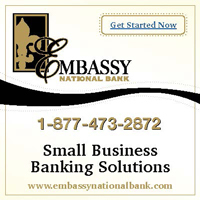 Additional facilities include a banquet hall, amphitheater, café, commercial kitchen, wedding chapel, furnished office, meeting rooms, and gymnasium with basketball and baseball courts. The facilities can host conferences, weddings, concerts, school/college graduations, and public meetings, with 900 regular and 34 handicap parking spots. 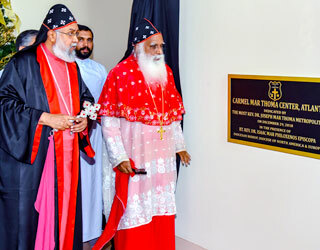 The Diocese envisages the use of the Carmel Mar Thoma Center as a convention center for conferences and retreats to impart theological learning and refresher courses to laity and clergy, and to use the facility for the worship of the local Mar Thoma community. The church dedication began with a prayer, American national anthem, and welcome by Rev. Manoj Idiculla, Diocesan Secretary, Diocese of North America and Europe (Merrick, New York). Rev. Isaac Mar Philoxenos, Episcopal Bishop of the Diocese of North America and Europe of the Mar Thoma Church (Merrick, NY), in his Presidential address shared the history of the church, beginning in 1998, when the Diocese headquarters in New York was established and when paying $10,000 towards it, seemed difficult! Consul General of India – Atlanta, Dr. Swati Kulkarni, the chief guest of the function, was one of the dignitaries to light the lamp to inaugurate the Center. In her greetings she emphasized the values of India—as a land of diversity, living with democratic values by respecting all religions and yet everyone focused on their own values. She noted that India represents diversity not only in religion, but also food and languages. 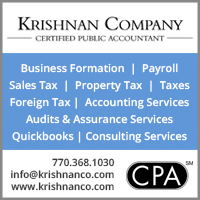 The main religions of India are Hinduism, Buddhism, Jainism, Sikhism, and in addition, Christianity and Islam are also prevalent. She also noted that the Christian community has contributed to community development and women’s empowerment in India. Various members of the community and leaders of the church participated in the program. 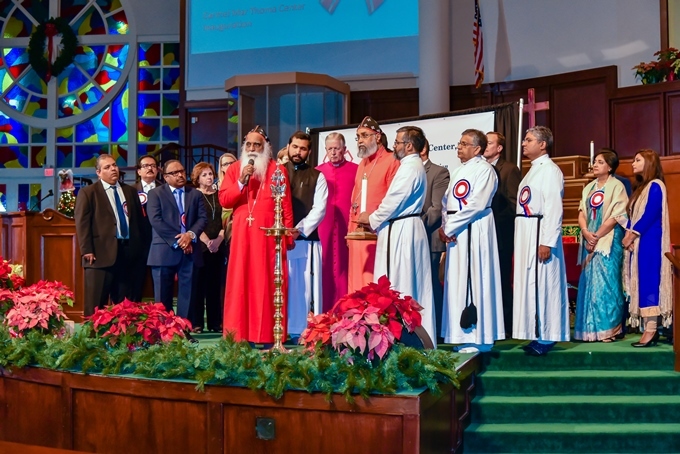 Speakers and dignitaries present included Head of the Mar Thomas Church, Metropolitan Joseph Mar Thoma (Kerala, India); Senator Kevin Thomas, first Indian-American to serve as New York State Senator; Anita Ninan (pictured above), Attorney and Vice President, Mar Thoma Church, Atlanta; Varkey Abraham, Sabha Council Member (NY); Dr. Leanne Van Dyk, President, Columbia Seminary, Atlanta; and Pat Soltys, Council Member, City of Tucker, among others. Multilingual playback singer for the Tamil movie industry and protégé of A. R. Rahman, Alisha Thomas, rendered two beautiful Christian songs in English and Malayalam. The function concluded with a vote of thanks by Mr. Philip Thomas, Diocesan Treasurer, and benediction, followed by dinner for all the attendees. Shows Christmas tree, violins, interviews. Aerial view of church, school, grounds, etc. The Mar Thoma Church is apostolic in origin, universal in nature, evangelical in principle, ecumenical in outlook, oriental in worship, and episcopal in character. 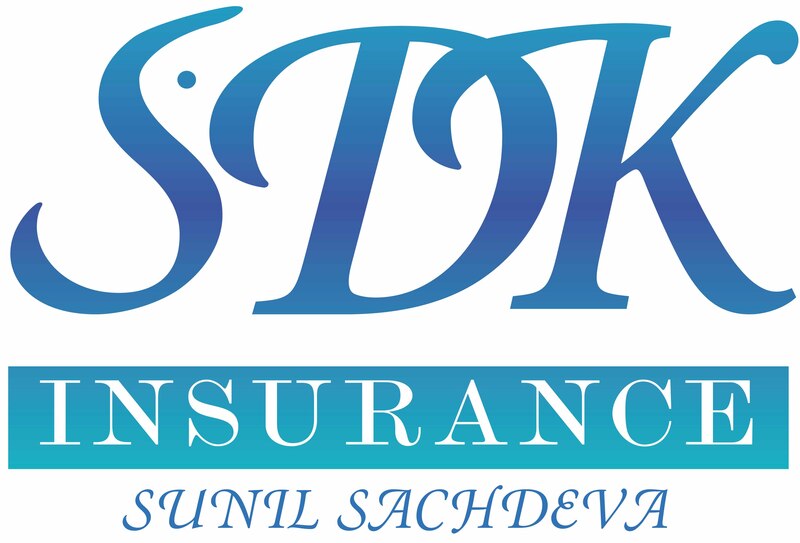 Projects of the Diocese include supporting education and development of underprivileged children; reaching the fishermen community in Matamoros, Tamauilipas, Mexico; reaching Native Americans in Alabama and several Western states; reaching local parish neighborhoods; and spreading the gospel across India.